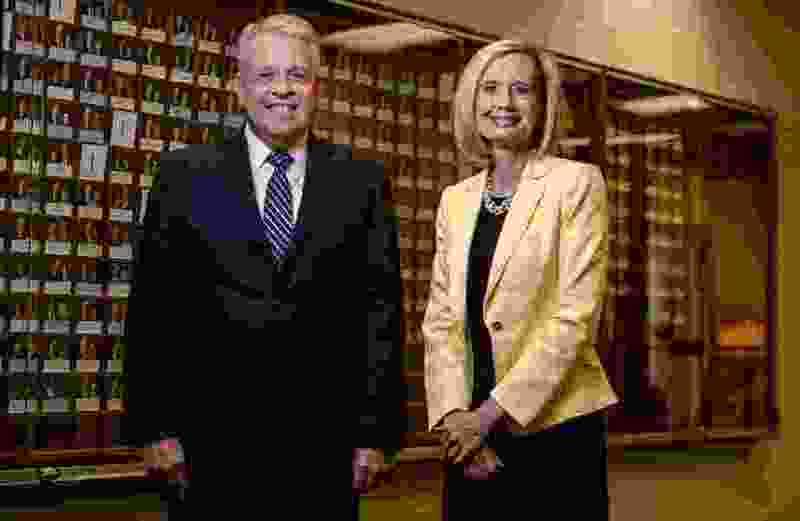 (Leah Hogsten | The Salt Lake Tribune) Sister Bonnie H. Cordon, general president of the Young Women Presidency, and Elder Brent Nielson, a general authority with The Church of Jesus Christ of Latter-day Saints, stand in front of a directory of mission presidents at the Church Office Building on August 24, 2018. Nielson is the director of the missionary department and is spearheading changes to mission safety, particularly for sister missionaries. Cordon is a member of the Sister Safety Committee, which he Nielson formed in late 2016. This is Part 2 of a two-part story on mission safety in The Church of Jesus Christ of Latter-day Saints. To read Part 1, click here. Provo • On a snowy night in January 2017, Maddy Cicotte listened to a near-stranger describe the worst day of her life. Camille Junca had been sexually assaulted two years earlier while serving as a missionary near Mexico’s western coast in Guerrero, which — though she didn’t know it at the time — had been the country’s most violent state for three years. Cicotte had been attacked the next year while serving in Bolivia. The women had connected through a "fluke" — Cicotte’s bishop had a daughter who knew Junca had also returned early after an assault, and he thought Junca might help Cicotte. They had exchanged occasional emails, appreciating the chance to talk with someone who understood the pain of being assaulted during a mission, and then decided to meet in person. Junca described her experience first. Sitting at the very edge of the couch in Junca’s Provo apartment, every muscle squeezed tight as she listened, Cicotte felt sick. They saw parallels between their stories — ways they believed The Church of Jesus Christ of Latter-day Saints could prevent and better respond to violence against missionaries. And as they talked, they decided to work together to help the church change. A few days later, Cicotte sent an email to a paralegal with Kirton McConkie, the church’s outside legal counsel, who had been working with each of them, writing: “I passionately want to become involved in improving mission safety." She outlined the main areas in which she and Junca had concerns: how the church decides to send missionaries to areas considered hazardous; the safety training mission presidents receive; how they are taught to react after a missionary is injured or witnesses violence; how those incidents are tracked; and how those missionaries are supported if they return home early. In the months that followed, Cicotte and Junca met with the missionary department twice. They exchanged thousands of words in emails with lawyers and department staffers, sending suggestions for how to support missionaries who’d experienced trauma and drafting survey questions to reveal the hazards that missionaries face. But when the church launched a safety survey in June 2017, Cicotte and Junca were disappointed to see that it asked missionaries whether they felt unsafe in their area every day. A missionary could often feel unsafe but might answer “no” to this question — masking the reality of his or her experience, Cicotte says. In describing the results, the church said it was “pleased to learn that an overwhelming majority of missionaries reported feeling safe.” While the survey also asked about specific instances of harassment and physical harm, no data about the prevalence of those experiences was released. In May 2018, a follow-up survey was sent to unspecified missions where “multiple safety concerns” had been reported. Those survey results have not been made public. Junca says she was discouraged when church representatives told her they had looked into missionary assignments in Guerrero and had decided that nothing needed to change — though the U.S. State Department advised citizens not to travel there. “At that point, just for my own mental health, I had to step back,” says Junca, a new mother at the time. And they had both begun to wonder whether the church was taking seriously anything they said, or valued their input. But Elder Brent H. Nielson, a general authority Seventy, who started leading the missionary department in August 2015, was overseeing significant shifts to better support and prepare the more than 63,000 young people serving the church around the world. The women’s voices, he says, have played a critical part. After Junca was sexually assaulted, she waited — throwing up and shaking with adrenaline — in a Latter-day Saint meetinghouse for her mission president to arrive from where he lived, more than two hours away. No one offered medical care or the chance to talk to a counselor that day or the next, when her mission president informed her he was sending her home. After Cicotte was attacked, no one offered to connect her with a therapist over the two days she accompanied her injured companion to a hospital to get stitches in her cut hand, talked with police, flew back to the mission home and decided to return to her family — a decision she said her mission president told her he opposed. The Salt Lake Tribune generally does not name victims of sexual assault. Junca and Cicotte have agreed to the use of their maiden names. Any missionary assaulted today will encounter a different, and better, support system, Nielson says. Mission presidents have a new protocol — adopted in January and informed by the church’s conversations with Junca and Cicotte — for assisting missionaries after a traumatic event, Nielson says. It includes offering medical and mental health care and involving the missionary in decisions about whether he or she will return home. Gary Crittenden, a financial director who became managing director of the missionary department in 2017, said the church is trying to ensure missionaries have “immediate” access to a mental health expert, at least by phone. This type of approach takes into account the fact that trauma affects each person differently, explains Sariah Collard, a therapist with Orem’s Center for Women and Children in Crisis. Well-meaning people often try to take the burden of decisions off victims, she says. Other guidance for mission presidents and missionaries is also being updated, Nielson says, to encourage better reporting and tracking of safety incidents. Each missionary should have his or her mission president’s direct phone number, and no missionary should feel as though he or she is bothering a president or his wife by contacting them with concerns, he says. The current missionary handbook notes that the mission president resolves all complaints — issues raised with church headquarters or the mission department will be directed back to the mission president. By the end of the year, new handbooks will include resources to contact if “something’s happening that shouldn’t be,” Nielson says. Without that option, a female missionary serving in Puerto Rico recently took the unusual step of phoning her stake president, a regional LDS leader, on the U.S. mainland to report misconduct by her mission president with the female proselytizers in his care. Nielson also is urging the missionary department toward a new level of transparency about the hazards missionaries can face. To foster a franker discussion, the church is producing a set of safety videos that future missionaries can watch with their parents before they enter the field. Each video will focus on a different risk that missionaries face — including sexual assault, he says. A video shown to a Tribune reporter portrays a sister missionary choosing to ride in the back of a truck, rather than the cab, after a service project — and then being injured when she falls out. The sister safety committee has been reviewing scripts and video details, with the aim of releasing the videos in early 2019. As the church makes these changes, Nielson says, its 407 mission presidents and their wives remain the No. 1 protection for missionaries. The couples have 407 different leadership styles and areas of expertise, he acknowledges, but he gives them consistent instruction. He’s strict, for example, about requiring six months of online training before they attend a three-day seminar and leave for the field. 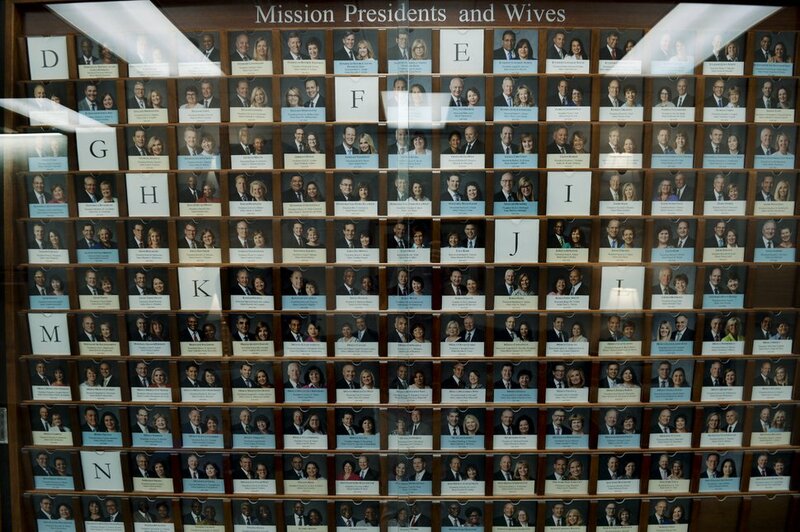 (Leah Hogsten | The Salt Lake Tribune) The directory of The Church of Jesus Christ of Latter-day Saints mission presidents and their wives at the Church Office Building on August 24, 2018. The online material includes topics such as ensuring the physical and mental health of missionaries. It draws on the mission president handbook and offers clips from past seminars and podcasts along with videos about legal and security issues. Mission presidents have access to it during their three-year service. They’re not specialists in everything, but the training means mission presidents and their wives have “quite a toolbox” of skills, says Bonnie Cordon, the faith’s Young Women general president and a member of its sister missionary safety committee, formed in late 2016. She served with her husband, a mission president in Brazil, from 2010 to 2013. And there’s a safety net behind them, Nielson adds, offering a tour of the missionary department in the Church Office Building in downtown Salt Lake City. In an office a few feet from Nielson’s, Elder Weatherford T. Clayton, a retired physician, supervises hundreds of volunteer doctors in the mission field and monitors the world for potential health risks. He helped change policy in 2016 to allow female missionaries in certain areas to wear slacks instead of skirts, a guard against the mosquito-borne Zika virus. Last year, he ordered that all missionaries be removed from Madagascar during an outbreak of the bubonic plague, which wiped out nearly a quarter of the Earth’s population 700 years ago. Down another hall is Dennis Perkins, who directs mental health advisers volunteering in hundreds of missions. Many other offices are filled by “in-field representatives” — former mission presidents overseeing dozens of missions within their assigned areas. They can call on doctors, psychologists, attorneys and church security for advice or swift action for a mission president or missionary in need. Many missionaries won’t encounter the network of 200 employees back in Salt Lake City, Nielson says. Cordon says she and her husband gave their missionaries phones with both of their numbers programmed in, and told them to call with any concerns. “They just want to know that someone cares,” she says. Church leaders rely on a similar network to help decide where it’s safe for missionaries to serve, Nielson says. They often agree with State Department warnings, he explains, but sometimes have a different view, based on insights from local church leaders and members in an area. U.S. citizens are advised by the State Department to “reconsider” travel to Nicaragua. Missionaries continue to serve in the five states in Mexico, including Guerrero, where the State Department has warned Americans not to travel. Responding to elevated State Department warnings in early 2018, church security traveled to Mexico to ensure that missionaries were only in areas determined to be safe by “local feedback” that was “supported by church security and the local area security person,” Crittenden says. Nielson says mission presidents have told him that even in areas of Mexico where there are “serious drug issues,” people leave the young missionaries alone because they know they are ministers. But in early 2018, two Catholic priests were murdered in Guerrero, according to Catholic News Service. Weeks later, the parents and 19-year-old sister of a Catholic nun were kidnapped and killed. According to Mexico News Daily, the young woman had been tortured and beheaded. After the deaths, the order of nuns withdrew from the area. Junca remains frustrated that LDS missionaries still serve in Guerrero, and she believes she should not have been assigned to the area before her assault. Statistically, that may be true, says David Knowlton, a Utah Valley University professor and Mormon anthropologist. Missionaries are generally home by 9 p.m., aren’t drinking or using drugs, aren’t involved in gangs or the armed forces, often aren’t driving and are always accompanied by a companion. But while the church might be promising statistically valid levels of safety for the entire missionary force, missionaries and their parents are hearing — and expecting — that each missionary will be safe, Knowlton says. But there are no teachings from the missionary department that equate to, “Hey, don’t worry about that neighborhood, God’s going to protect you,” he says. “If that’s in [missionary] culture, it’s not something that we teach. It would be something out of their youthful idea that somehow they’re invincible." Junca says her faith and her environment gave her the sense of security she felt. “The mindset you’re in as a missionary, from a spiritual standpoint, is that you are safe and protected,” she says. She and Cicotte worry that, despite the church’s new efforts to be more transparent, this culture of trust, obedience and presumed safety reduces missionaries' alertness to danger, and could lead them to blame themselves after a negative experience. They’d like missionaries to hear more — from the mission president, from one another and from local members — about risks they might encounter in their area. There’s no system among missionaries for sharing risks within an area. Missionaries record information about local residents’ progress within the gospel in the “area book,” but guidelines prohibit mentioning criminal histories of members or those interested in the church, even if they come up in a lesson or interview. This is to protect privacy, Crittenden says. If such information might be helpful for missionaries to have — to be on their guard before teaching a family that’s part of a gang, for example — a mission president will pass it along as needed. Neither Junca nor Cicotte can recall that their mission president ever passed along information from local members. They both got advice directly from members occasionally — warnings to not walk around after dark, for example. But if that conflicted with the current mission rule, “we would just kind of shrug, always assuming that somebody higher than us has access to more information than these local members,” Junca says. Knowlton has long advocated for the church to customize rules for individual missions — down to changing what missionaries wear — and empowering local church members to shape policies. Thirty years ago, after two elders were assassinated in Bolivia, Knowlton presented a paper at a 1989 Sunstone symposium, a summit for Mormon research, outlining changes the church could make to better protect missionaries. The church was continuing to send missionaries to the country even as the political climate grew dangerously anti-American, he says. Missionaries and church buildings were closely associated with the United States, he said, which made them targets. He was later called in by his stake president and told that his publicly airing such concerns was inappropriate, and had actually put missionaries in further danger. Four years later, he was denied tenure at Brigham Young University, a high-profile decision that was linked to his criticisms. He says some of his suggestions have since been adopted. Junca says the church should offer every missionary who is assaulted a clear and continuing path to access the care that she or he needs. The church's policy, according to the current mission president’s handbook, is to pay "for treatment of illnesses or injuries that arise during a mission." Any missionary who returns home early is entitled to six counseling sessions through LDS Family Services. Beyond that, sessions are “provided generously, on a case-by-case basis,” says Woodruff, the church spokesman. It is “unreasonable,” Junca says, to require missionaries who need therapy or other services to share their stories over and over again with each bishop as they move to different wards. “Also, this assumes the survivor remains active — so what happens if they don’t?” she asks. According to a 2015 BYU survey of early-return missionaries, 47 percent are not as active in the church after returning home. For close to two years, Junca’s weekly counseling sessions have been paid for by the church. The church has twice asked her to sign waivers that would give it access to her records, to assess her progress and ensure that there was a plan for her recovery, she says. 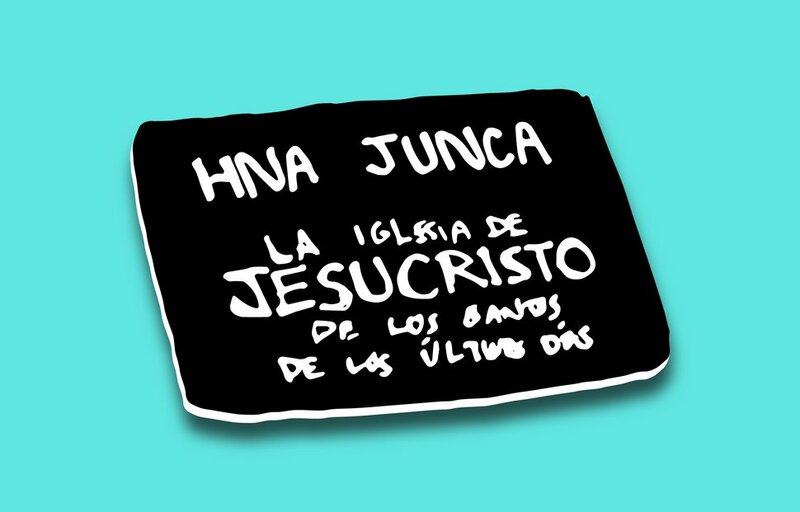 Junca has declined, and the church has continued to pay, she says. But the requests “continue to communicate that what happened to me is not significant enough to warrant additional attention or compassion,” Junca says. Her trauma and its effects have evolved as her life has changed in the nearly four years since her assault. She feels she lives in a new world where “anything can happen” — to her, or to the people she loves. Sometimes, she’s afraid to check on her son in his crib, terrified that she'll discover that something awful has occurred overnight. Some people have counseled Junca to move on, she says, and work on forgiveness. The police were not called after Junca’s attack. But after Cicotte was attacked, she spent hours with Bolivian police, and the missionary department and legal counsel later told her they were confident the accused man would be caught quickly and brought to trial. The church was paying for the case to be prosecuted, which Nielson says is standard practice. But plans for Cicotte to travel to Bolivia to give statements were postponed again and again, as those in church headquarters found that the legal system was not “easy to navigate,” according to an email Cicotte shared with The Tribune. In fall 2017, Cicotte was informed that while the attorney the church hired had come highly recommended by its lawyer in Bolivia, “he did not have the correct expertise” and had been misrepresenting progress in her case. The man eventually stopped corresponding with the church. A new attorney had been hired, but by then, Cicotte’s attacker had fled the country, she says. The church declined to comment on Cicotte’s criminal case or her assault. 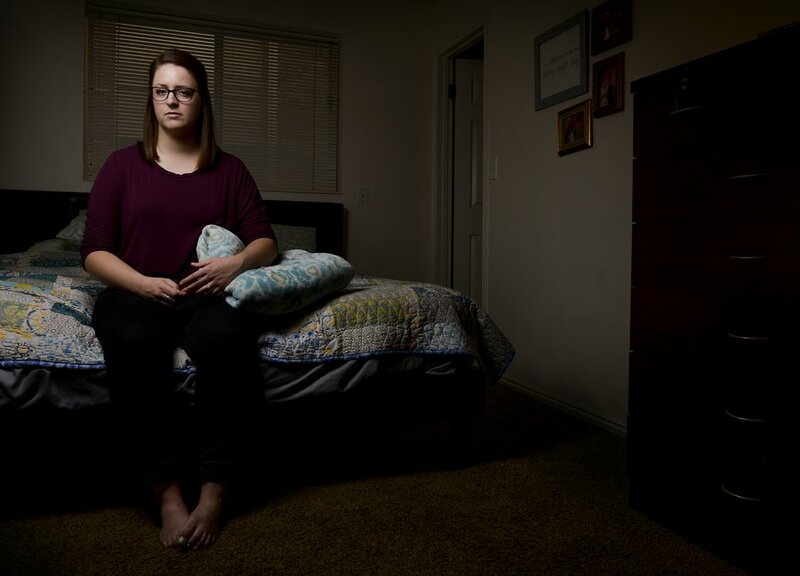 (Leah Hogsten | The Salt Lake Tribune) "I've got to get out, I've got to get help," thought Maddy Cicotte as she ran naked into the streets of Cochabamba, Bolivia, to escape a sexual assault in June 2016 while serving a mission for The Church of Jesus Christ of Latter-day Saints. Cicotte, pictured April 25, 2018 in Provo, still tries to find her own way of dealing with her depression and anger stemming from that day. To cope, Cicotte says she goes on a cleaning spree, or holes up in the bedroom she shares with her husband. Today, Cicotte says, she’s a less trusting person than she was before her mission. She’s skeptical of authority figures and rules that seem arbitrary to her. But this has helped her find new faith in herself. When she first came home from her mission, she says, she tried to make peace, personally, with what had happened. As she heard Junca’s and others’ stories, she found that it wasn’t enough to focus on just her situation — she wanted to help drive change. But as she tried to work with church leaders, she says, they seemed to view her and Junca as outsiders. In mid-August, she launched a website, TimeforCambio.org (Cambio is “change” in Spanish), to open a dialogue for other returned missionaries who have not had a wholly positive mission experience — but haven’t felt comfortable sharing their stories. So far, she’s received 20 submissions. She hopes, she says, that it will grow into a resource for missionaries who are about to leave for the field, that they’ll have a more realistic perspective than they will get from the church. And as the stories are shared, she hopes the church will recognize that missionaries who come home hurting need a better welcome home. Tribune editor Sheila R. McCann contributed to this report. Correction: 8:30 p.m. Aug. 29, 2018: The number of mission presidents serving with The Church of Jesus Christ of Latter-day Saints has been corrected to 407.